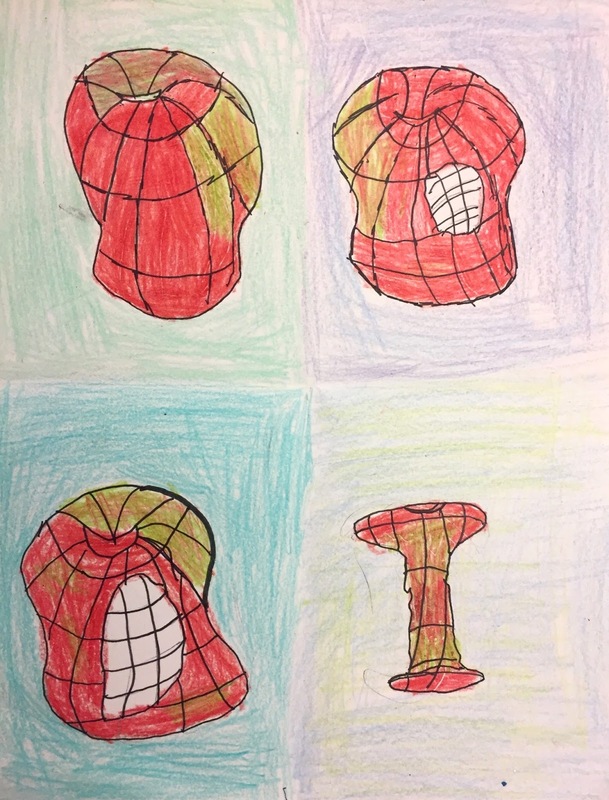 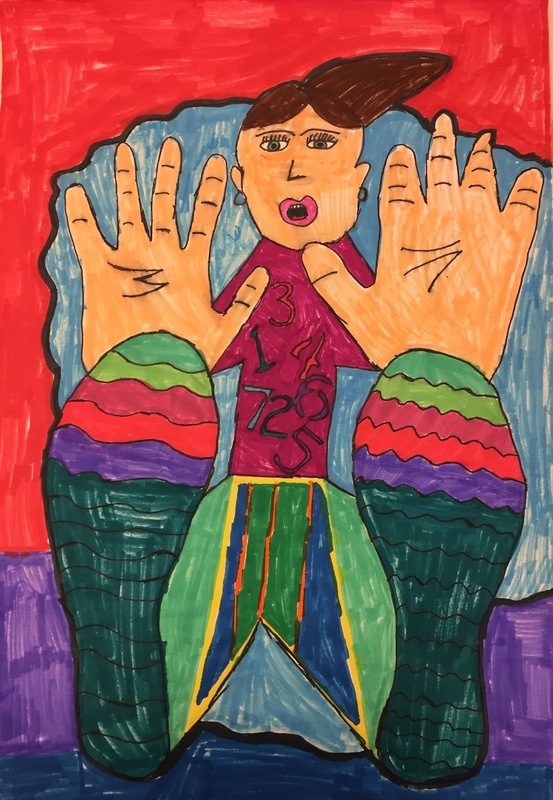 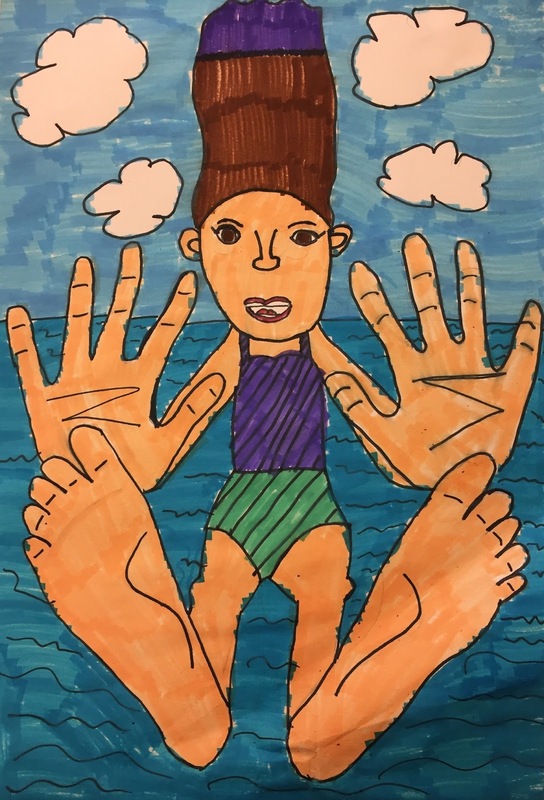 "Falling for Foreshortening" ~ Students learned how to use a perspective tool called foreshortening to create depth and three-dimensionality in their work. 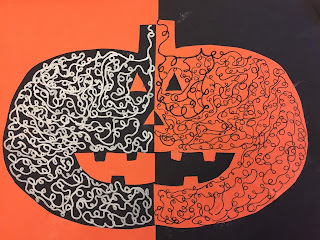 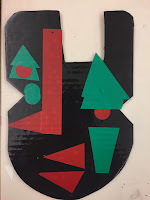 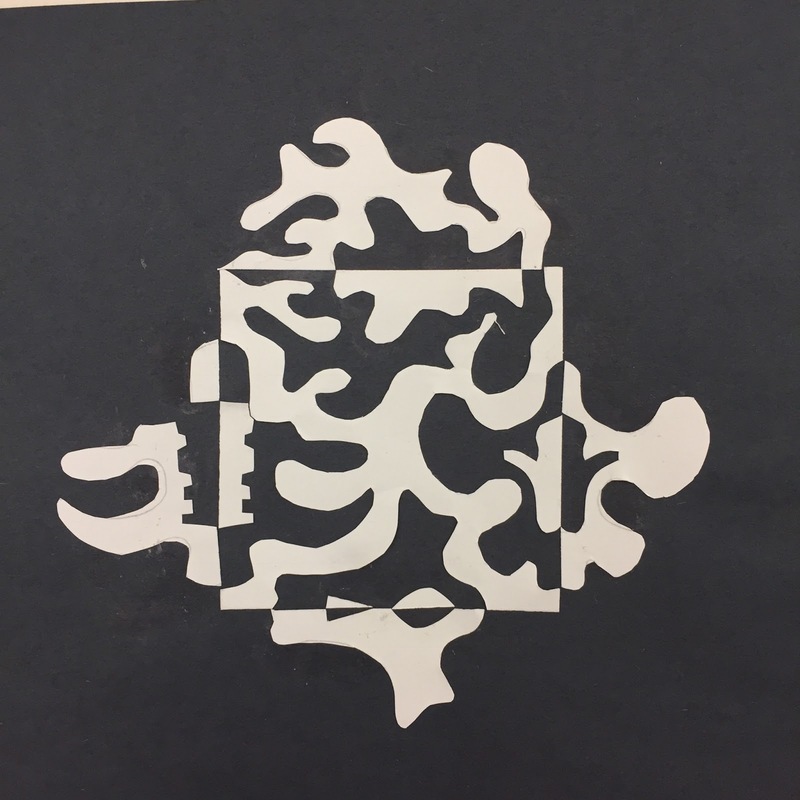 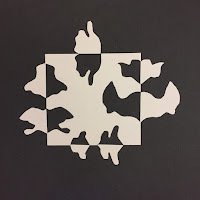 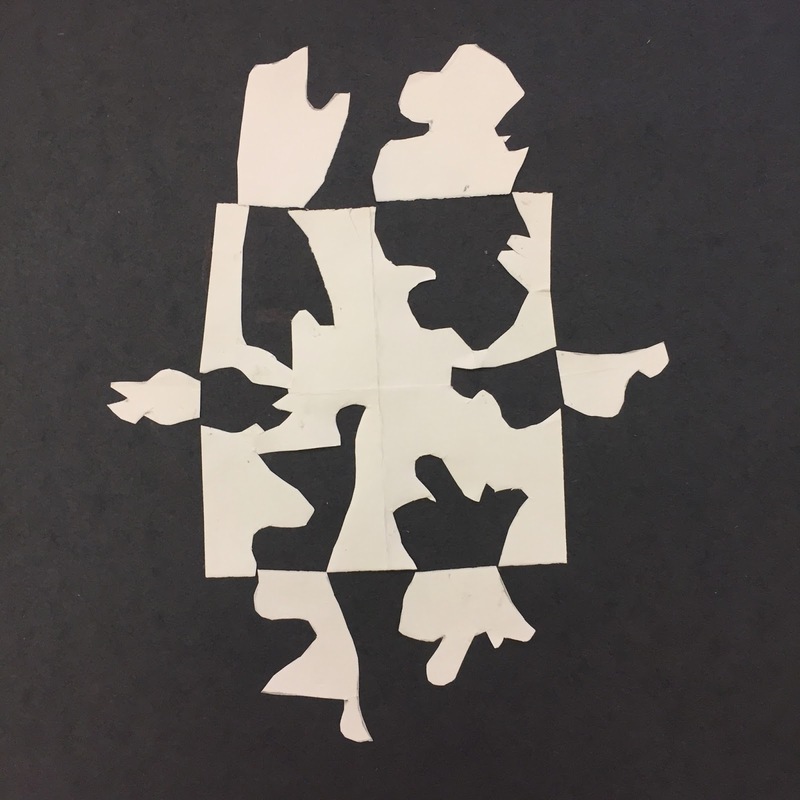 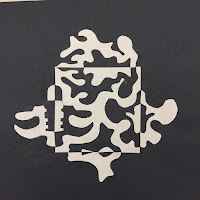 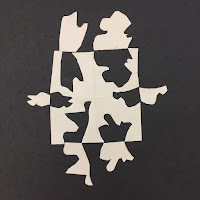 Students in grade 4 studied positive and negative space and created Japanese Notans. 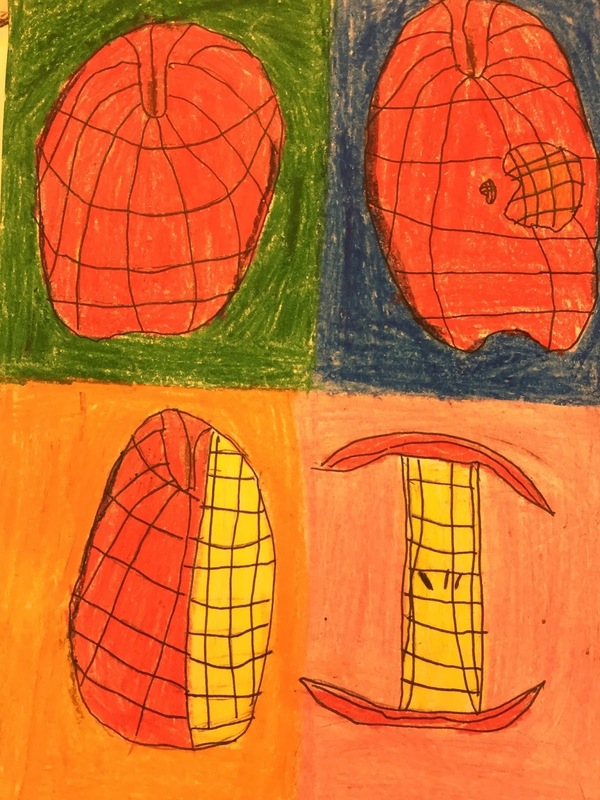 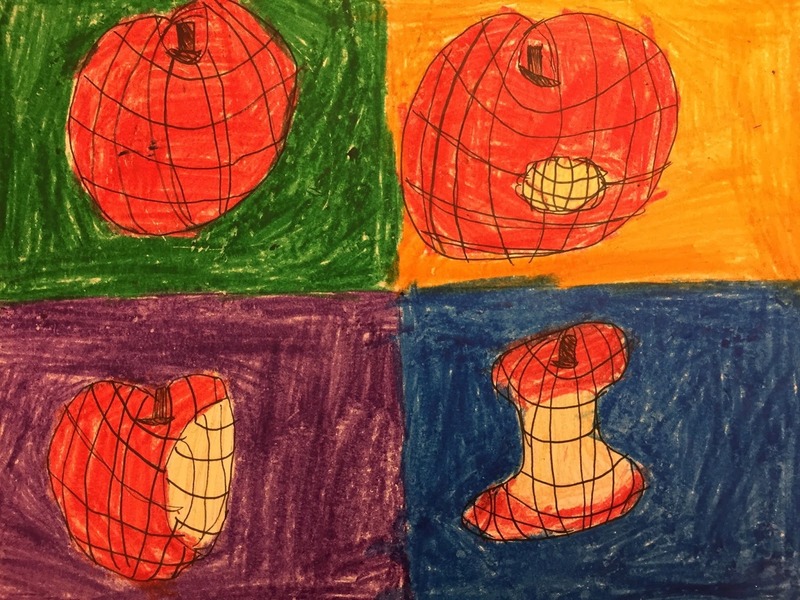 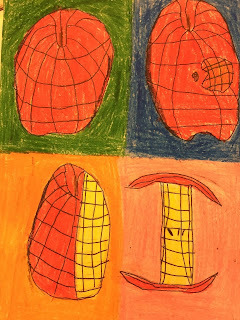 Students learned about contour and cross contour line and drew fruit (as they ate it!). 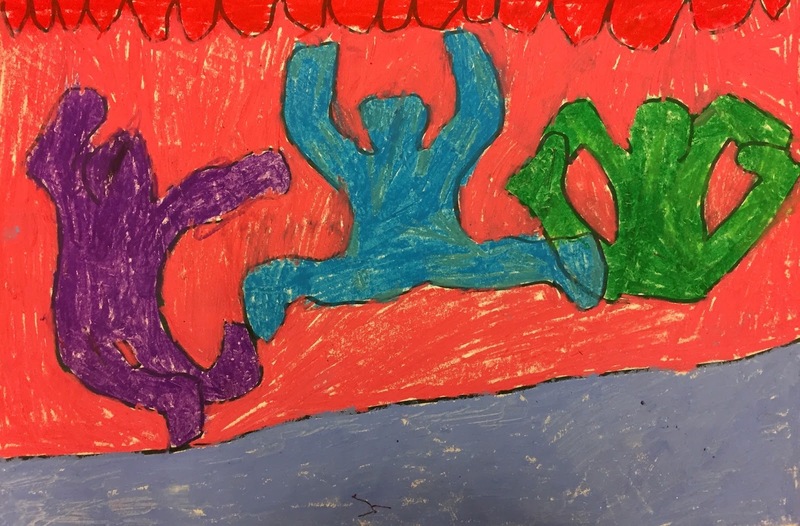 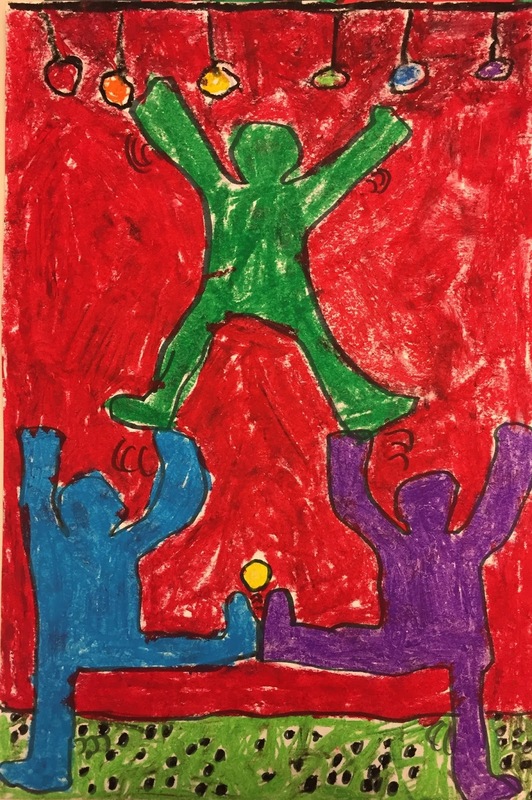 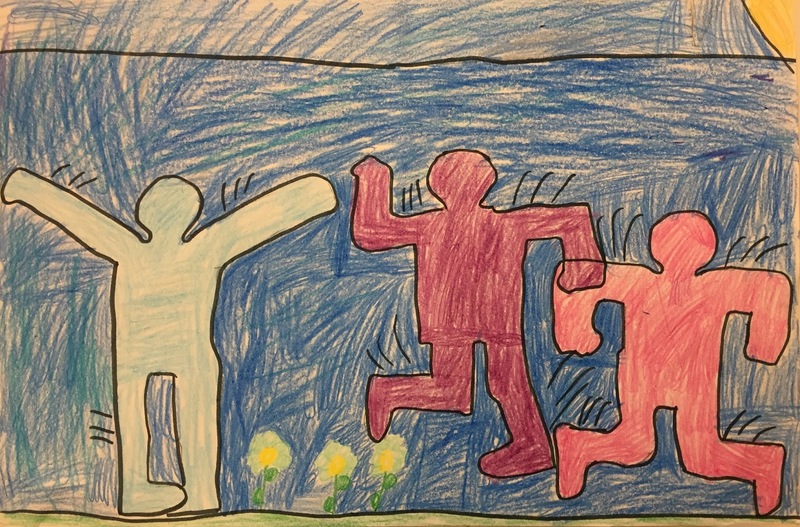 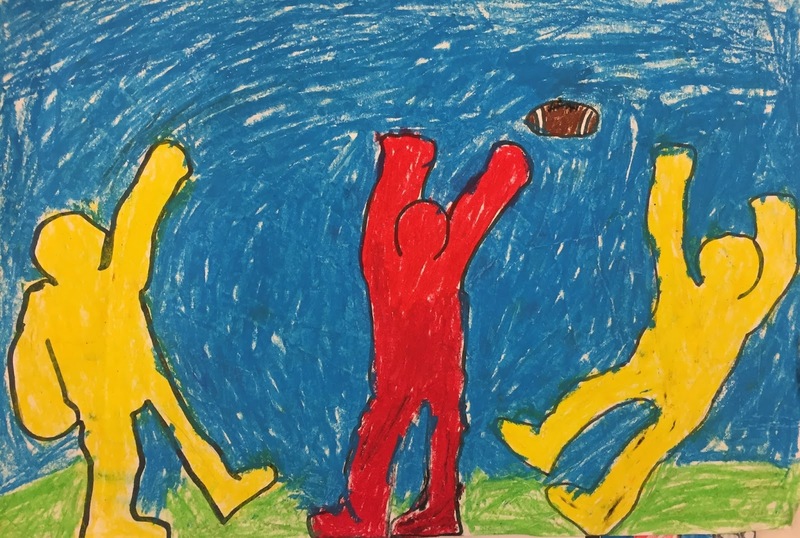 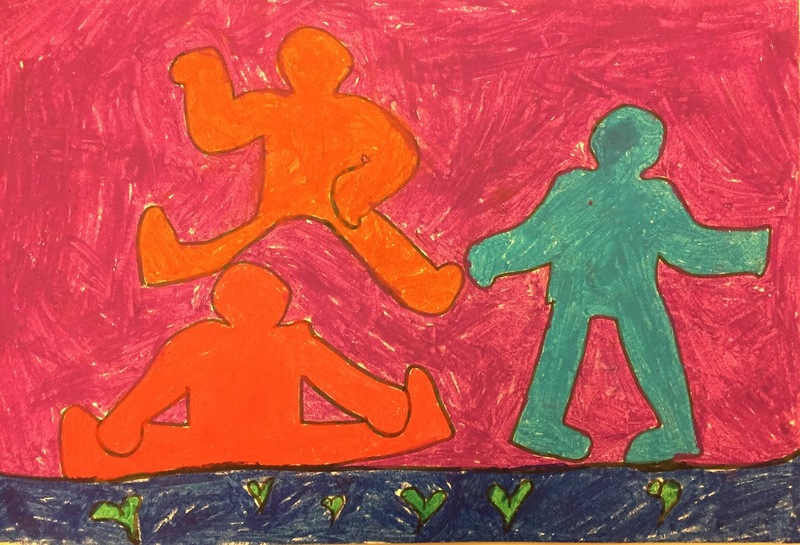 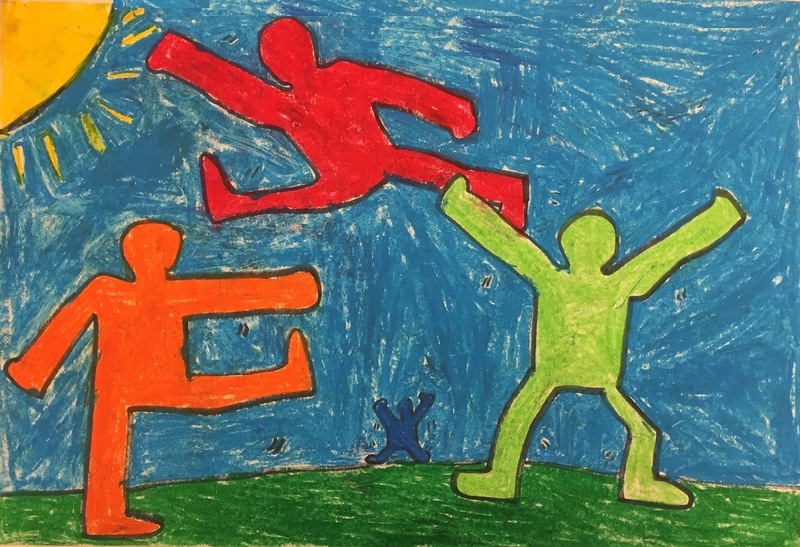 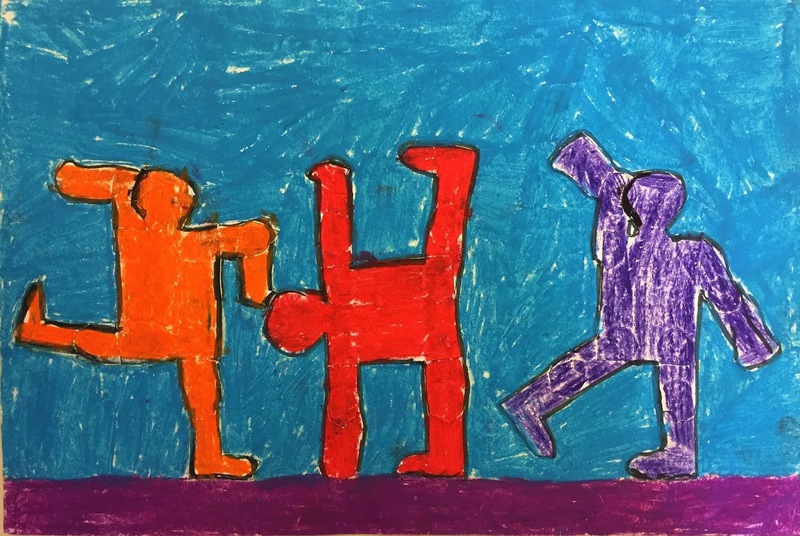 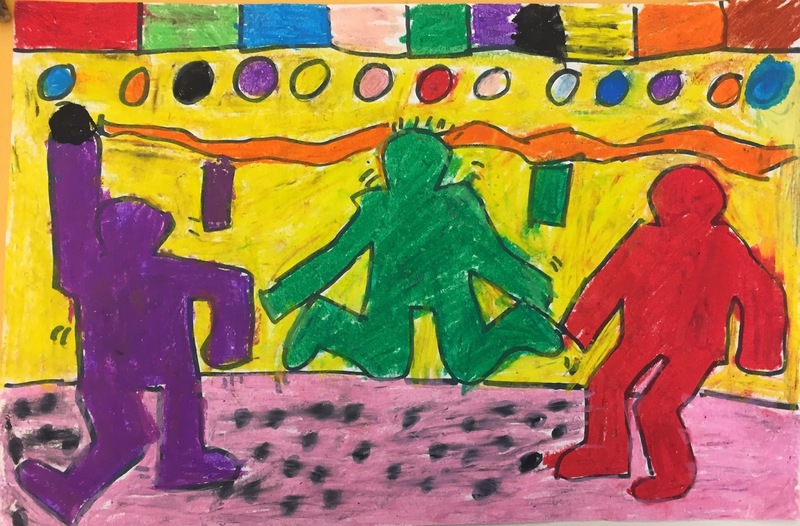 Students studied the artist Keith Haring and learned how line can show movement in a work of art. 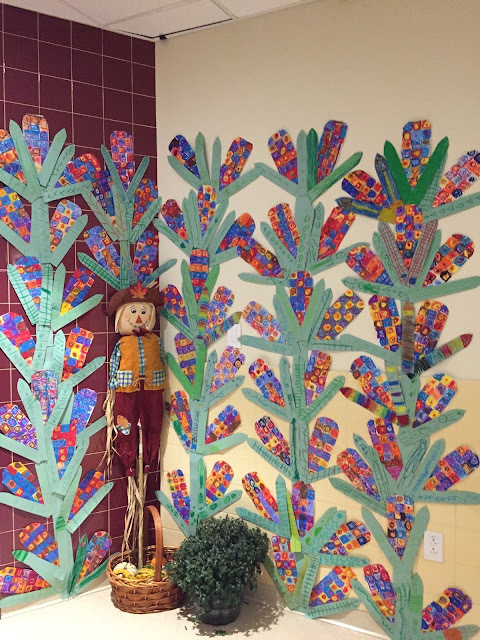 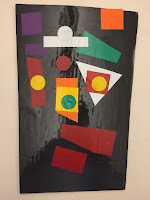 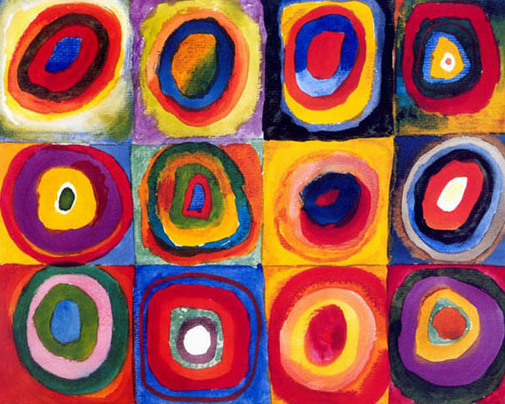 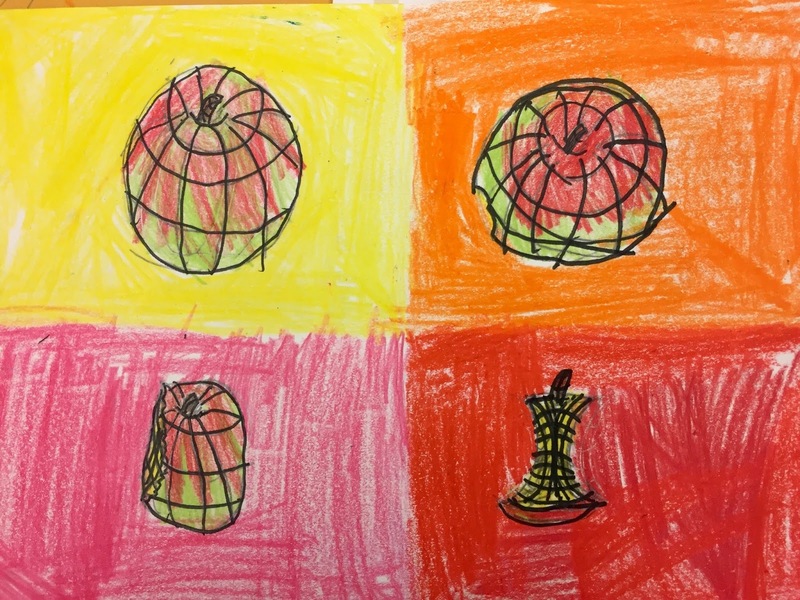 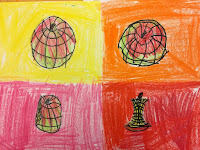 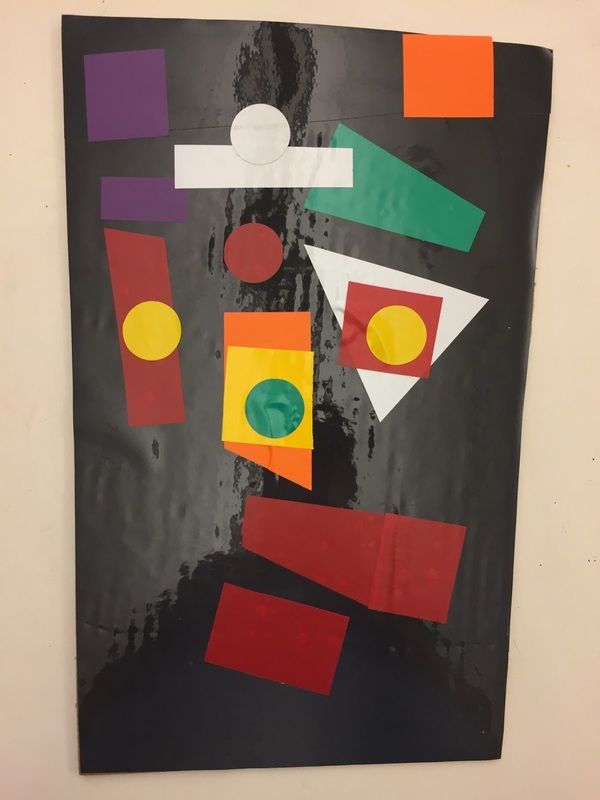 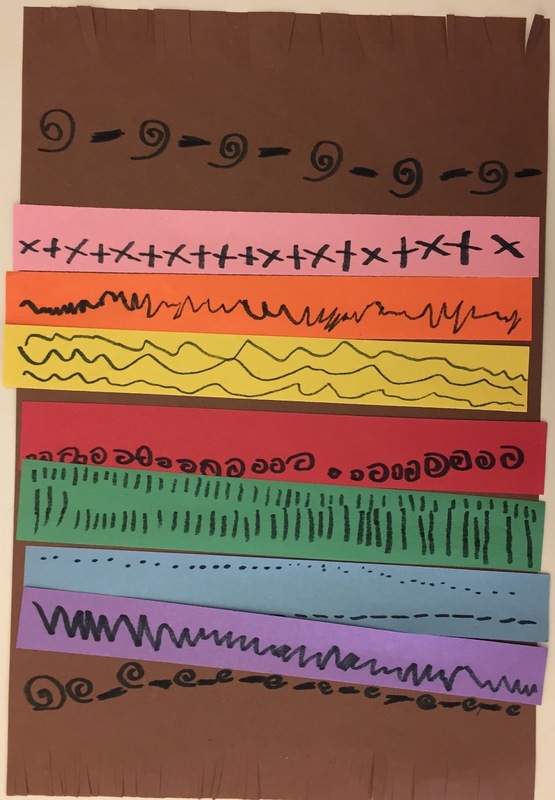 Students learned about the artist Wassily Kandinsky and made Flint corn in style of his piece, Squares with Concentric Circles. 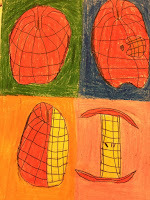 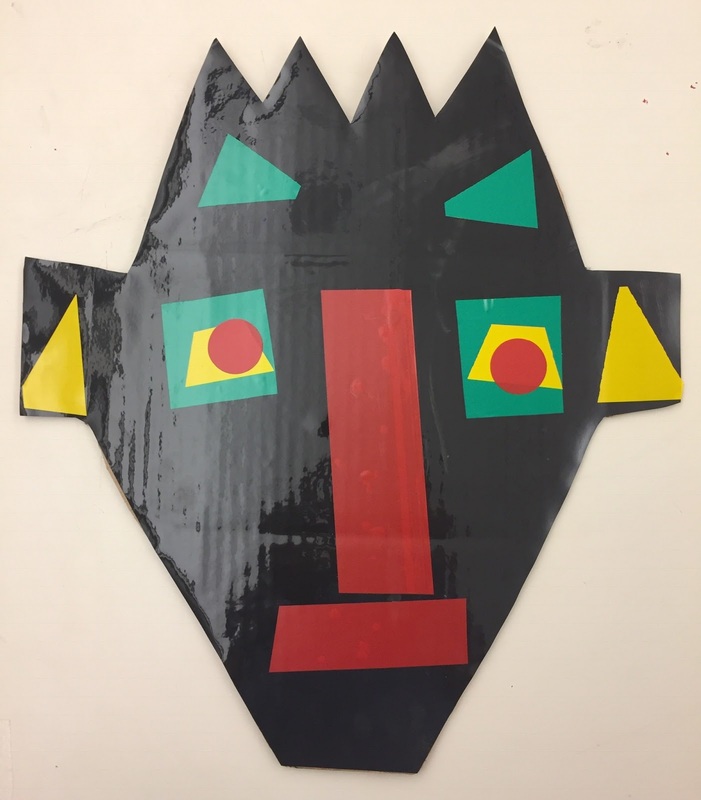 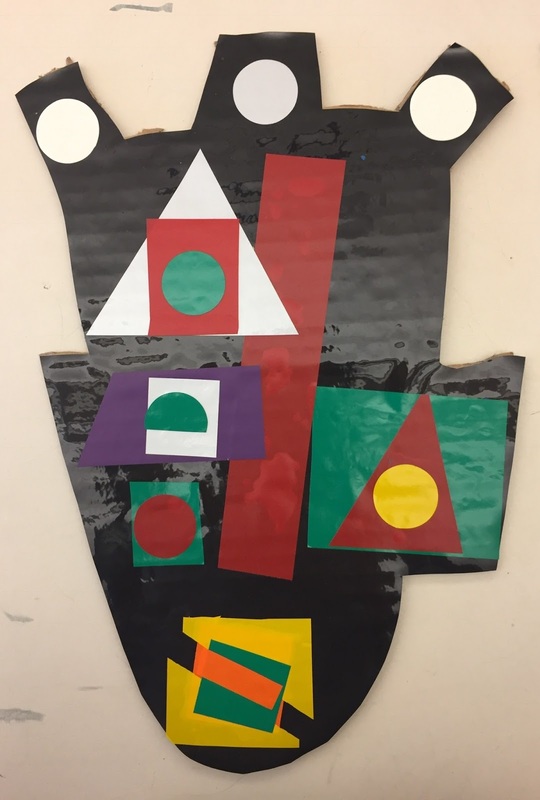 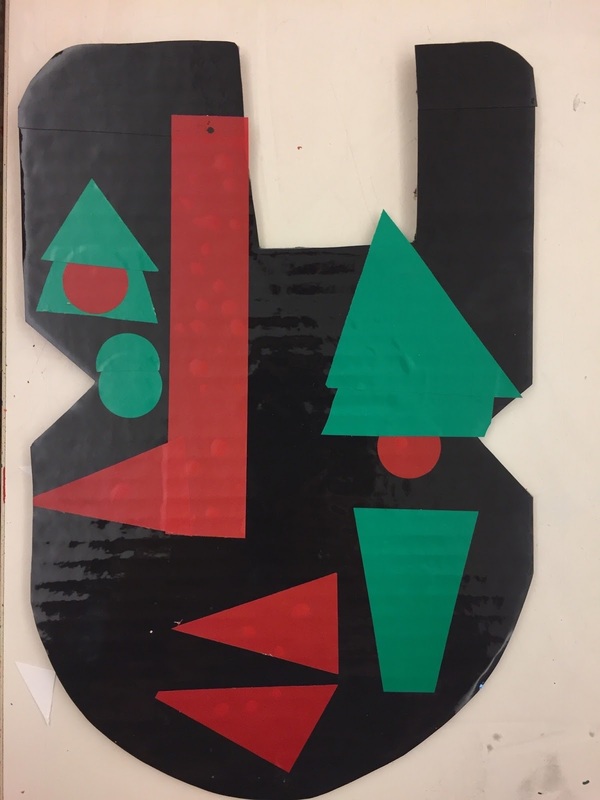 Additionally, students studied the artist Kimmy Cantrell and created "shape masks". 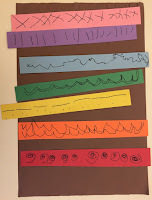 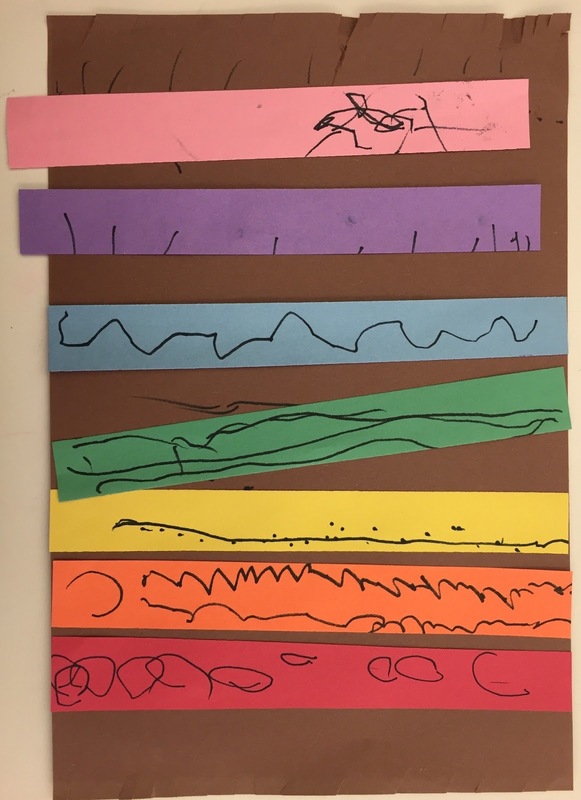 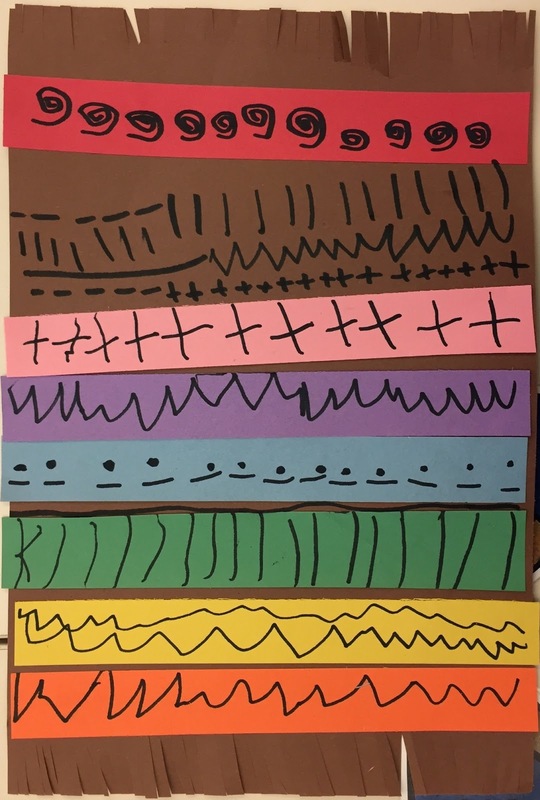 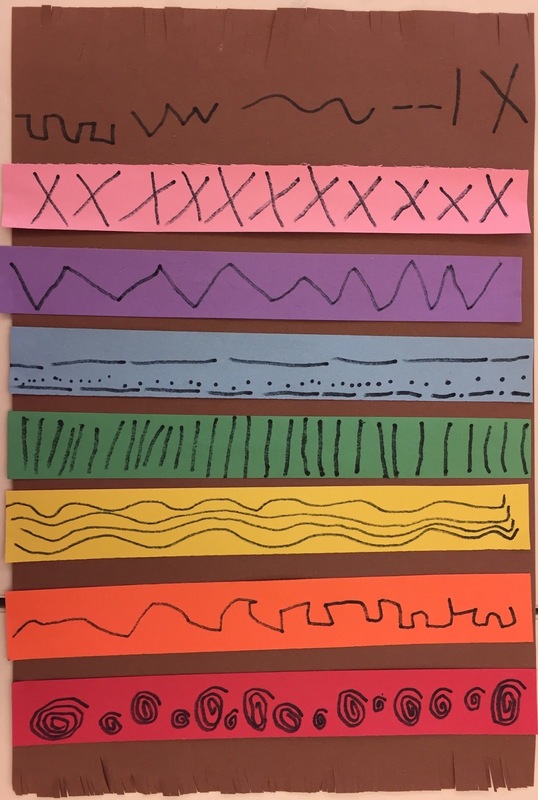 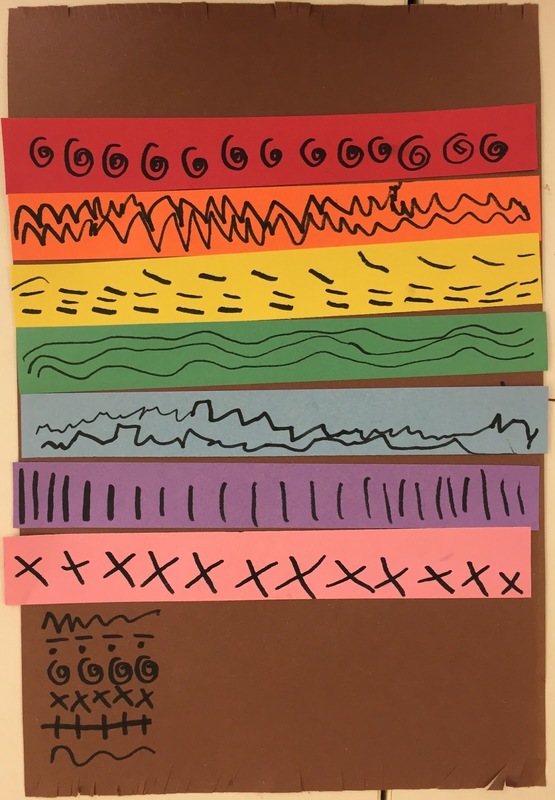 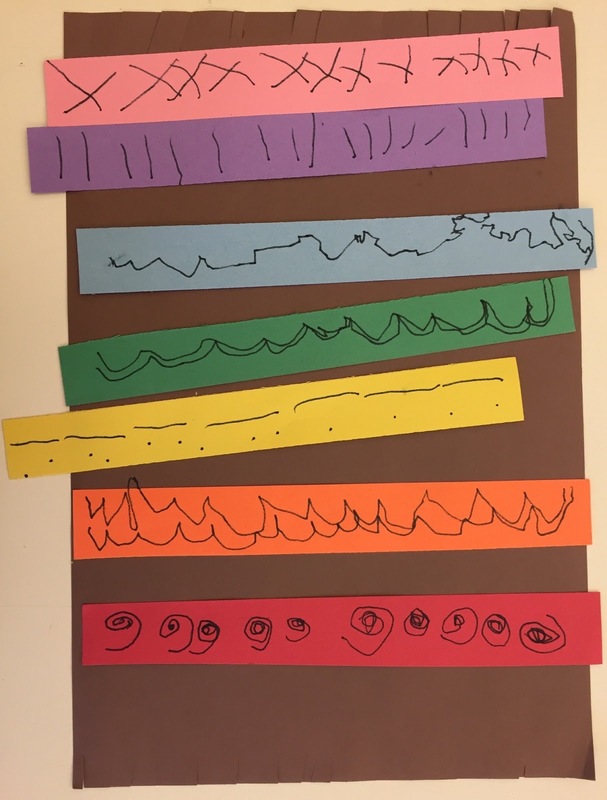 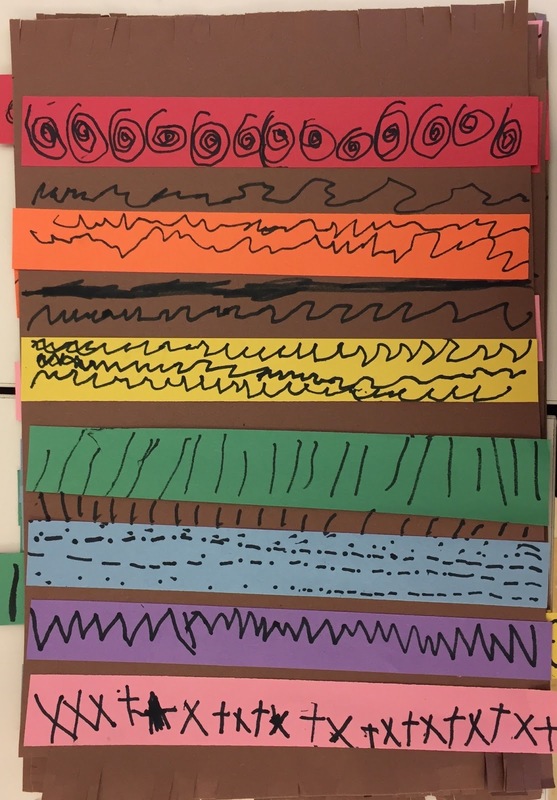 Students continued to learn about the kinds of lines and created "magic carpets" while also learning about the colors of the rainbow.